Two angled letter/legal filing shelves. Plate-mounted 3" diameter hard rubber swivel casters (two free/two locking). Datum FileCarts™ are the sturdiest on the market, and great for filing as well as storage and transportation of other items around your office. 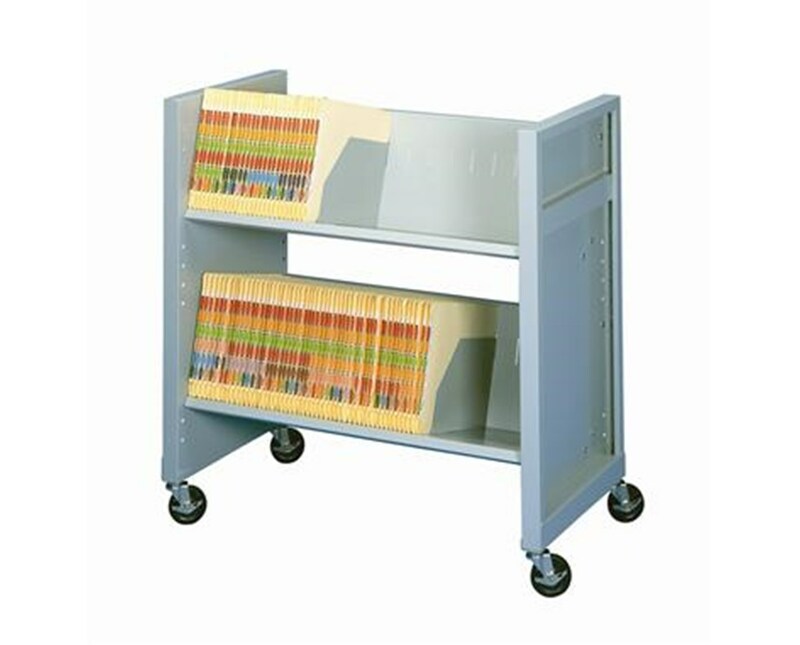 Offering a generous 64 lineal filing inches (LFI), this Datum FileCart™ includes two letter/legal filing shelves. Four adjustable dividers help keep files and other materials neat and organized. 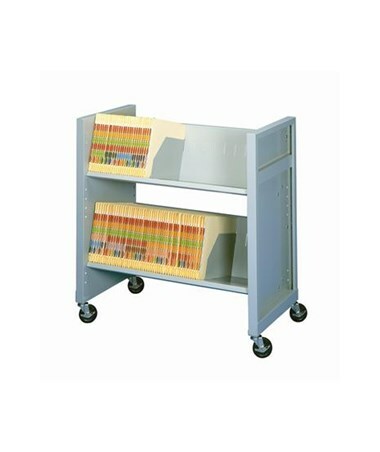 This cart is quiet - the plate-mounted, hard rubber swivel casters (two free/two locking) eliminate that annoying rattle, and the solid construction eliminates the squeakiness often found in other carts - meaning no noise and distraction for your office staff. Quiet 3" diameter hard-rubber swivel casters roll easily over indoor surfaces and doorways. Datum FileCart™ with 2 Shelves.